Here is my Copyright & Disclaimer policy. I hope this is useful to you when you are on my site. 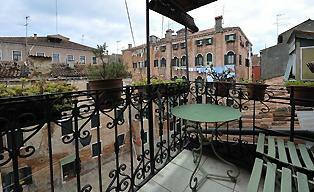 The most important value for me is that I pe my website is giving you the best Venice Italy holiday experience. Venice-Information.com provides on a personal way information about Venice Italy. Printing of text is allowed, but only for personal use. Nothing, absolutely nothing may be copied from www.Venice-Information.com. If I find my material on the world wide web - without my permission, my lawyer and I will send you a letter/e-mail/notification of default. Besides, I will report the violiation to Google. The basis of my website is my personal experience and relevant resources. The pictures are from our material, submitted photos (with permission of the owners) and stock photos. Every page I have on MY site Venice-Information.com takes time to create and write. Everything is carefully written down and checked. One page costs me about 5 hours to achieve. No texts have been copied or written differently. Everything is from my own hands. If you are lazy and want to copy text, you are in violation. The site I create with pure passion and interest about the Venetian Lagoon. Although the texts have en carefully compiled, we can not in any way guarantee the accuracy or completeness of the information. Venice-Information.com is not liable for damages of any kind, resulting from actions and decisions based on my knowledge. Every day I answer with full commitment all the questions I receive via my contact form or comment forms. Here I can make unintentional mistakes because sometimes the information about Venice Italy is changing. And therefore, I can not feel responsible if I have inadvertently provided incorrect information. I hope Venice-Information.com is adding value to your holiday! If you are happy with this site, use the various social media options to tell your friends, family, and colleagues. Do you have any questions? Please Contact me. You have read about the Copyright & Disclaimer of this site. Please click on the links to explore my website more and get even more information about the different topics.